The outrage that followed now-fired Giants coach Ben McAdoo’s benching of Eli Manning was mountainous and seemingly never-ending. Everyone had something to say about how badly the Giants fucked up, with an outpouring of support perhaps unprecedented for a player of Manning’s decidedly average talent. 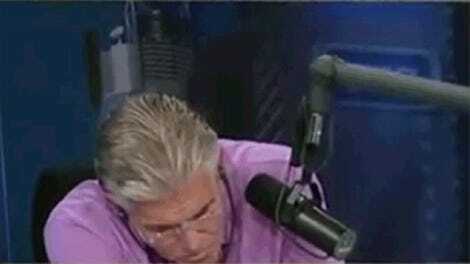 Mike Francesa took eight minutes to rant about the move’s stupidity. Former Giants players talked about wearing Eli jerseys to a game to protest. A billboard in New Jersey calling out the team literally read “Shame On You.” Michael Strahan said, “This just isn’t right.” Philip Rivers called it “pathetic.” Admittedly, yanking Manning around like the Giants did isn’t the most dignified way to send off your two-time Super Bowl winning quarterback, but Eli is still very famous and sort of handsome, and making him hold a clipboard for some meaningless games was far from the embarrassment that some made it out to be. Well, the world can calm down now. Sweet, precious Eli is safe on the first-string again, as confirmed by interim coach Steve Spagnuolo. Out is Geno Smith, who threw for a respectable 212 yards, a touchdown, and no picks in his losing effort against Oakland last week. Manning, with his streak of 210 consecutive starts now interrupted, will be the quarterback Sunday against Dallas, a team that the Giants scored three points against back in Week 1. Manning’s last game before he got demoted, against Washington, saw him throw for 113 yards on 13-of-27 passing. 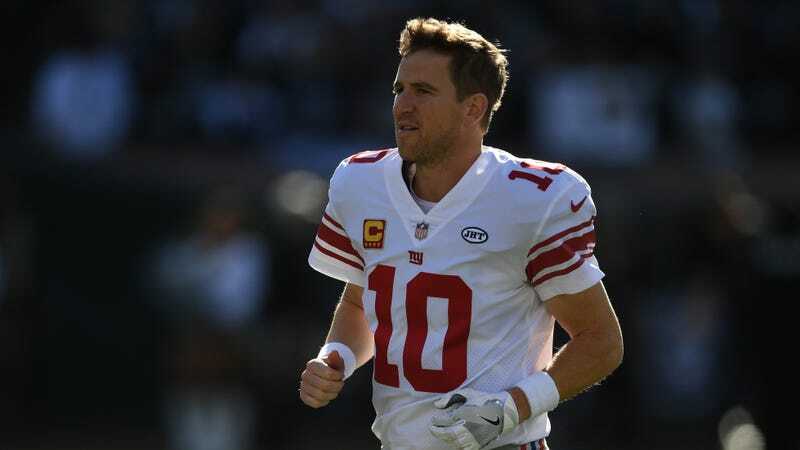 We’re truly lucky that the Eli Manning era in New York isn’t over yet.